Founder and president of Sunset Graphics, an established Web and graphic design firm based in Connecticut, Sarahs work is respected throughout New England, where she is considered a pioneer in technology-driven marketing. Sarahs long list of clients include top companies in publishing, healthcare, retail, agriculture, entertainment, recreation, leisure, sports, education and finance. She has designed and developed hundreds of Web sites, ranging in complexity from purely informational to robust transactional. 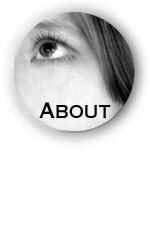 Sarah also has extensive experience in graphic design and production. Her portfolio of work also includes corporate logos, high-end brochures, 3D point-of-purchase displays, glossy magazines, catalogs, directories, office forms and practically every imaginable type of ink-on-paper product. So whether the client is a small gardening supply store or an online retail catalogue, Sarah has the skill and experience to apply the right level of technology and expertise to achieve her clients business objectives  quickly, elegantly and cost-effectively. Before founding Sunset Graphics in 1995, Sarah was a creative director and design specialist at several prominent firms in Connecticut. A graduate of the University of Connecticut, her affiliations include the Golden Key National Honor Society, the Connecticut Women's Council, the National Law Firm Marketing Association and the American Association of Dental Editors. Sarah is also a principal in Cumulus Partners, Sunset Graphics site sponsor.